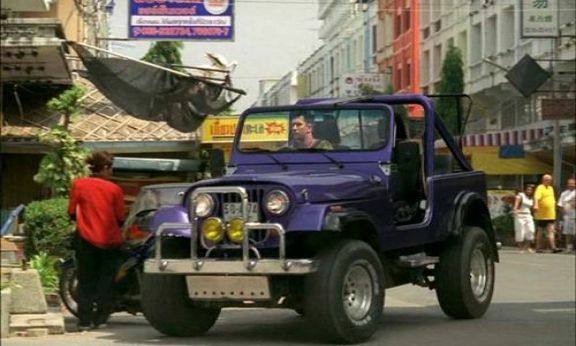 IMCDb.org: Jeep CJ-7 in "Tayskiy voyazh Stepanycha, 2005"
More likely it's Indian counterpart, the Mahindra. This is in Thailand, not India. Mahindra doesn't have a market in Thailand? Anyway, it looks like a CJ-7.